Replacing the incandescent 194 light bulbs with 194 LEDs was one of those fixing something that is not broken projects. 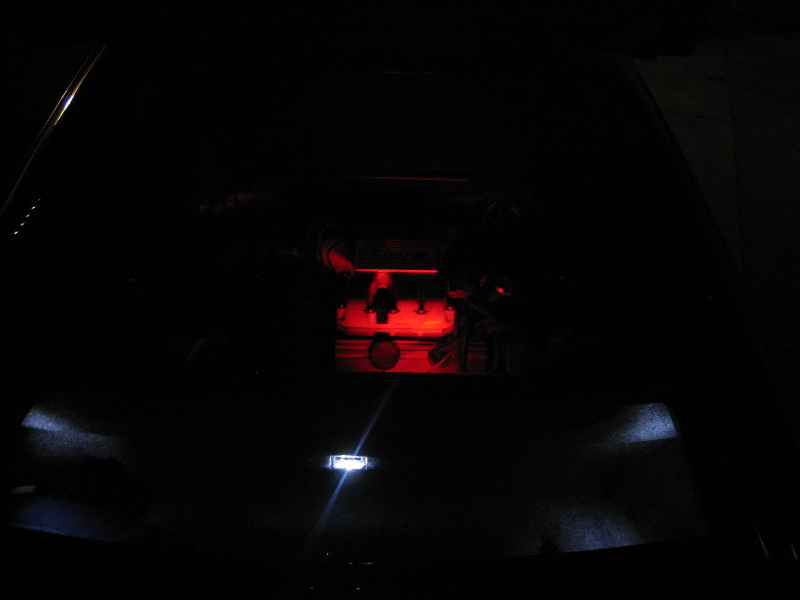 The incandescent give off a nice warm white light. I wanted the more eery blue white light, less power usage and not hot to the touch bulbs. I tend to work on the car all day and leaving all the doors open was waring on the battery. The end result of switching to LEDs is good and I would do it again.